Are you looking for ways to enrich your life? Try birding! Identifying and observing birds offers a mental challenge, physical activity, sensory stimulation, social interaction, nature/spiritual connection, artistic inspiration and opportunities to be a citizen scientist. This post discusses these 7 ways to enrich your life through birding. 1. Birding is a big mental challenge. The world is home to about 10,000 bird species and at least twice that many subspecies. No matter what country you live in, chances are that hundreds of bird species live in, pass through, or by chance visit that country. Just look through a field guide to the birds for any country. You’ll see birds of every shape, size, and colour. They’re residents or migrants or vagrants. Each has a geographical range, preferred habitats, distinguishing field marks, characteristic vocalizations, and life history. Try to wrap your mind around all that information for umpteen species and you’ll understand why birding is a consummate mental challenge, particularly if you travel. In every new part of the country or the world, you get to start all over again. Recently, Vilis and I returned to Canada after six months in South Africa, where I spent many hours searching for birds. Before we even arrived in South Africa, I had begun my birding preparations by studying my brand-new Sasol eBirds smartphone app in the Halifax and London Heathrow airports. The day after we arrived in Grahamstown, I bought the print version of the Roberts Bird Guide and fell asleep at the supper table with my head on its opened pages. At the end of our time in South Africa, I was confident that I’d seen 304 species of South African birds. However, I’d also had glimpses or partially obstructed views or totally confusing sightings of a number of birds that were a complete mystery to me. Frankly, for those birds, I hadn’t a clue what I was looking at. That made for much studying of guides and online photographs – more good mental challenge through birding. 2. Birding goes hand in hand with physical exercise. I’ve looked for birds while in a car or on a quad or bicycle or boat, but most often, I’ve become acquainted with birds while walking. Sometimes the walk is an easy stroll on city streets and sometimes it’s a strenuous hike in the mountains. Sometimes, it covers a short distance and sometimes it spans a dozen or more kilometres. Regardless of distance or degree of difficulty, birding on foot means moving your legs. That burns calories and strengthens muscles while your heart works harder to pump blood around your body, including your brain. As we age, staying active becomes increasingly important for maintaining our physical and mental health. A 2014 study showed that regular, moderate physical exercise slows the age-related decline of brain function and can even have a postive effect on brain function regeneration. I’ve made birding part of my regular outdoor exercise regime by carrying a pair of compact binoculars with me on many of my walks. 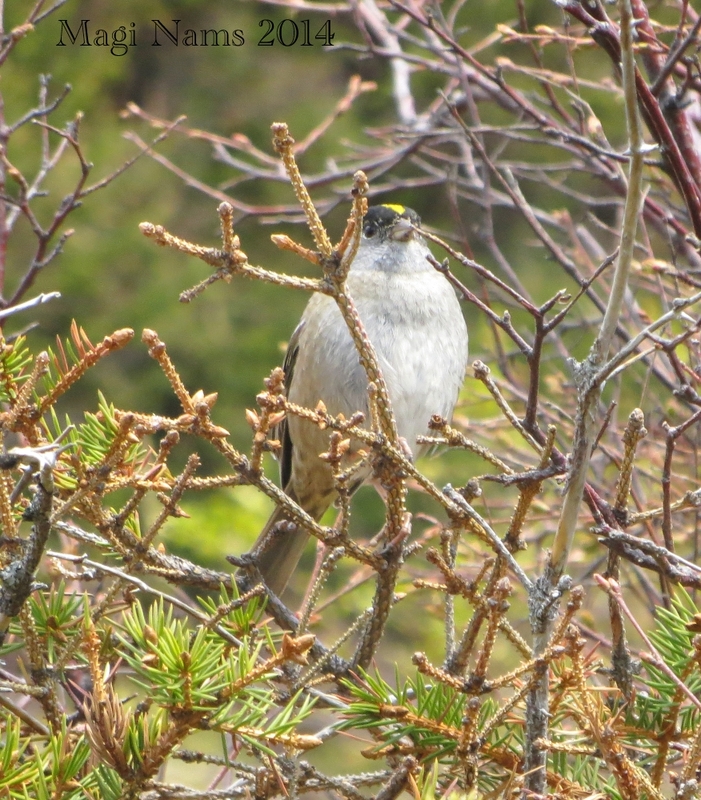 During this year’s Tatamagouche Christmas Bird Count, I logged over 14 kilometres of walking and had delightful sightings of golden-crowned kinglets and pine grosbeaks, among other species. I also heard the distinctive chatter call of a black-backed woodpecker, an uncommon bird in my area that I wouldn’t have heard if I hadn’t been on foot. I’ll celebrate my sixtieth birthday next month and hope to log many more body-and-brain-strengthening kilometres of birding in the decades to come. 3. Birding stimulates our senses. There’s no getting around it. Some birds are like lighters set to the dry tinder of our senses. The male peacock’s gorgeous plumage is a classic example of avian eye candy, while its haunting, childlike screams set our ears on edge. Male southern red bishops nearly sear our vision with their glowing-ember colours. 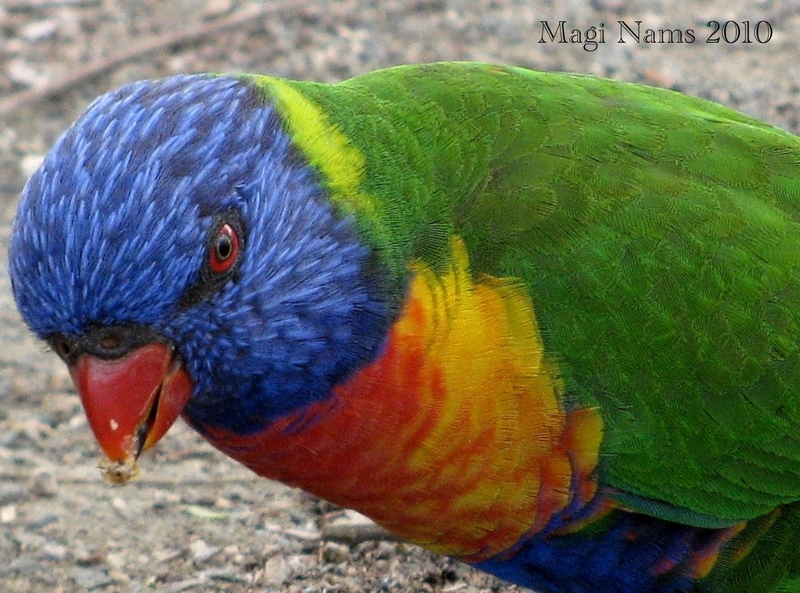 Rainbow lorikeets’ vivid, multi-coloured plumage dazzles our eyes even as the birds’ raucous squawks and mutterings bombard our ears. We all know that our senses allow us to perceive the world around us and that the ability to perceive sensory information is vital to our survival, health and enjoyment. Longterm care facilities for dementia patients in Australia incorporate sensory stimulation programs that have been shown to enhance communication and reduce agitation and sleep disturbances. As a writer, I work hard to include sensory perceptions in my non-fiction and fiction works in order to convey realistic settings. Birding, I believe, offers a means of honing two particular senses, vision and hearing. Bird identification based on sight involves speedy analysis of shape, size, colour, and field marks – those specific features that differentiate a particular species from all others. In addition to visual acuity, this on-the-spot challenge requires an eye trained to look for certain features, an eye with a heightened awareness of visual cues. 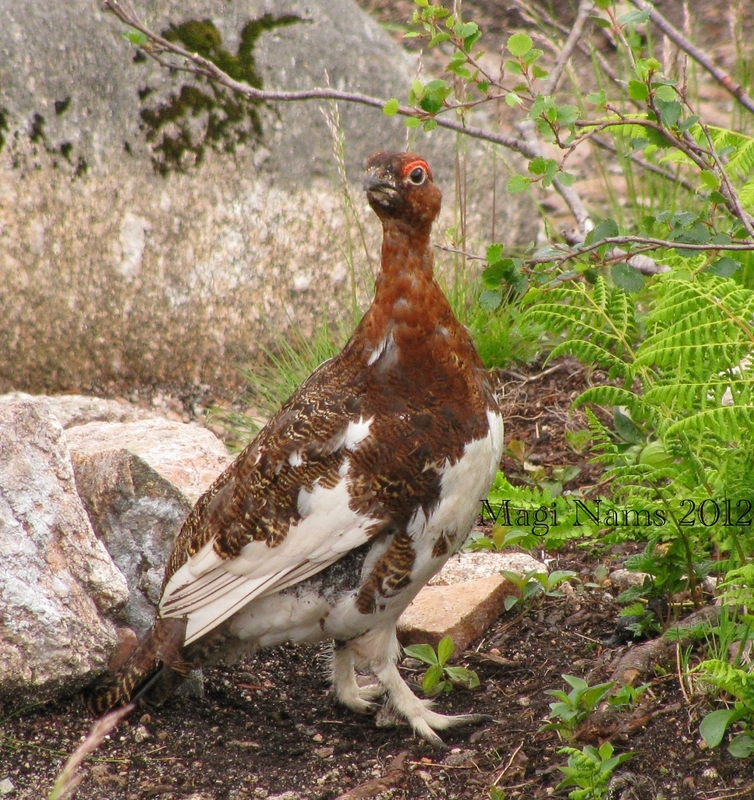 It might take only a fraction of a second to notice and identify a peacock with its tail spread, but what about a ruffed grouse in thick cover or a steppe buzzard in flight and backlit by the sun? Those situations require a greater degree of visual awareness obtained through practice and repetition. 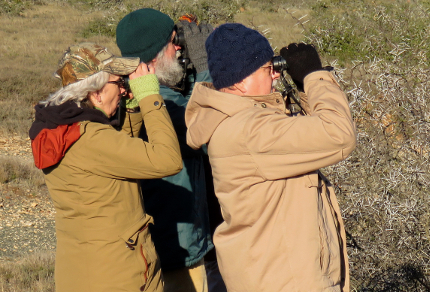 Experienced birders also routinely identify birds by their vocalizations, a skill learned through careful listening, comparison, and memorization. 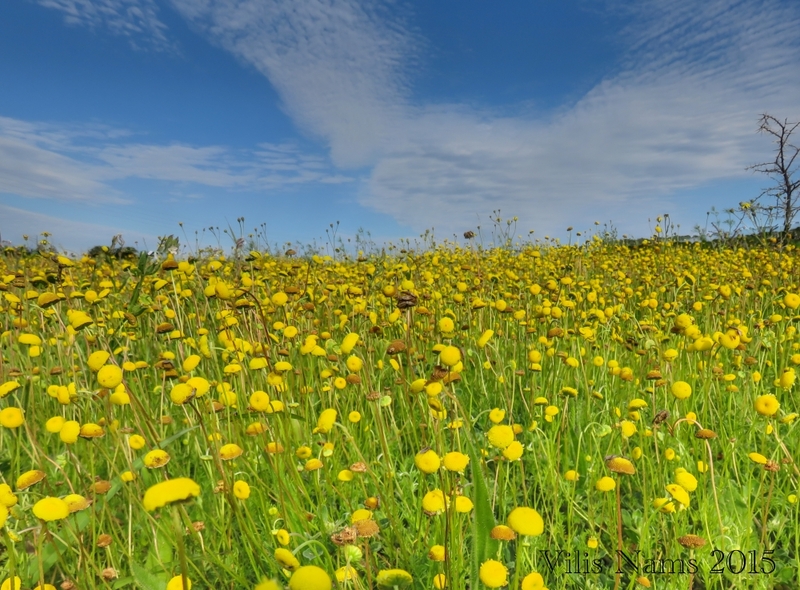 To a beginning birder, a summer dawn chorus in Canada might sound like an overwhelming hodgepodge of sounds; however, with experience, that hodgepodge will crystallize into a collection of familiar songs and calls. Trills. Warbles. Exquisite melodies. The birder’s ear becomes attuned, just as a musician’s ear becomes attuned. The availability of birding apps for mobile phones has made it possible to compare vocalizations in the field and to swat up on bird calls before heading out on an excursion. 4. Birding offers chances for social interaction. While it’s rewarding to bird alone (some of my most exciting finds have occurred when I was on my own), this hobby or obsession (depending on your degree of commitment and intensity) offers many opportunities to get together with other like-minded individuals. Here in Canada, I’m a member of the Nova Scotia Bird Society, which has regular meetings and organizes field trips for birders of all skill levels. 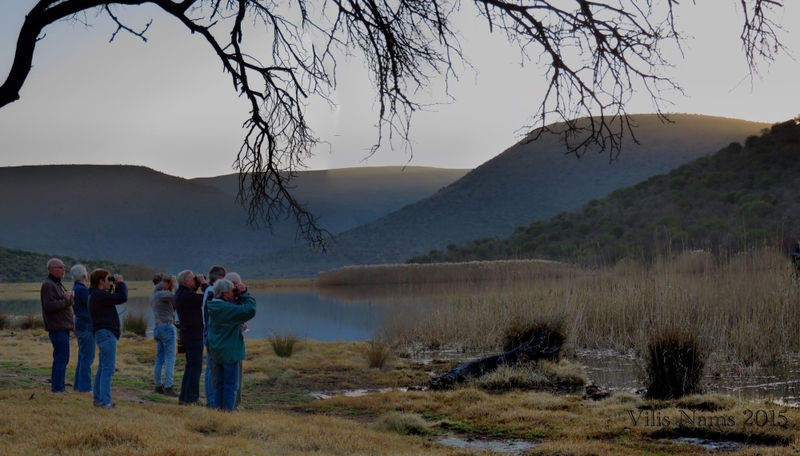 In South Africa, one of the first things Vilis and I did was to sign up with Grahamstown’s Diaz Cross Bird Club. Through our membership, we formed warm friendships, learned local lore, travelled, and gained a greater sense of South Africa. The same was true in Australia, where we joined BirdLife Townsville and enjoyed regular outings with the group. Far away from home, birding with a local club can serve as a welcoming anchor for you in unfamiliar surroundings. It also offers the opportunity to learn from more experienced birders and to offer your knowledge to less experienced birders. One morning while I was birding on the campus of Rhodes University in Grahamstown, a student holding a camera with a long lens beckoned me to him and asked if I knew what the bird was that he’d just photographed. 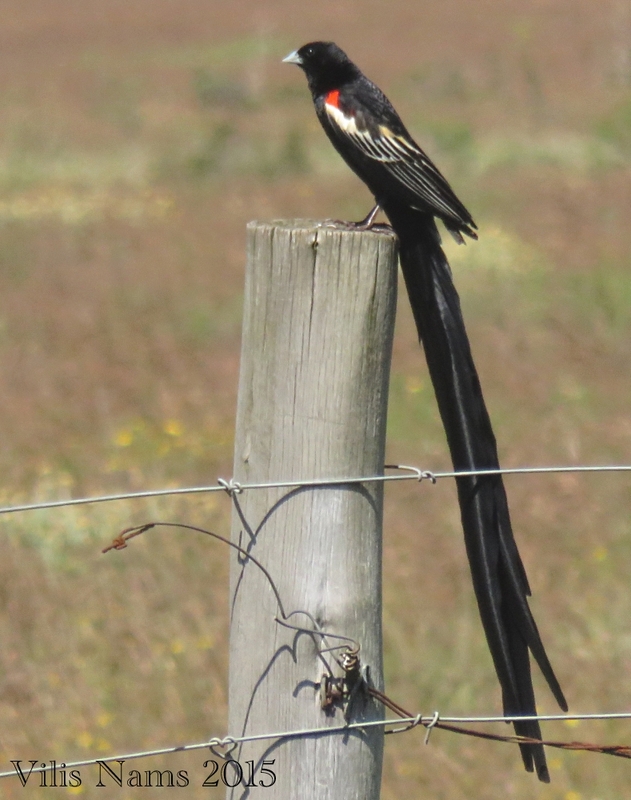 I peered at the image he’d captured and identified the bird as a male red-collared widowbird. As a Canadian, it was fun to identify a South African bird for a South African! 5. Birding provides a nature/spirit connection. You can go birding anywhere, in urban centres or rural settings or wilderness. 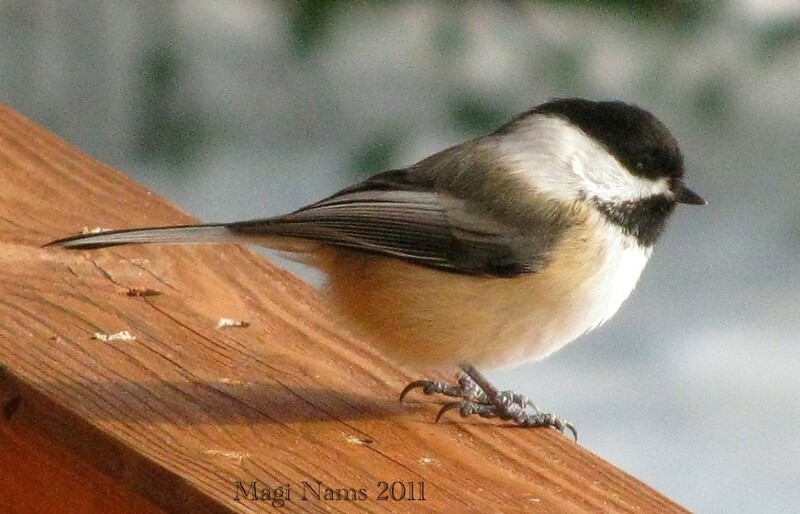 And because birds are inherently part of nature, birding creates a bond between you and nature. The more you learn about birds and the more birds you identify, the deeper your understanding of birds and their interactions with their environment will become. In that sense, birding is a gateway to ecology. And having an ecological frame of mind will allow you to see more clearly what your role is in helping to care for our planet. Birding can also be a spiritual experience. As a Christian, I see God’s amazing creative power in every bird and every ecosystem. Other forms of spirituality also have a deep connection with nature. 6. Birding inspires art. If you’re familiar with the work of Canadian wildlife painter Robert Bateman, you’ll have an immediate grasp of how birds can inspire art. Perhaps you’re also an artist or a photographer, writer, ceramic artist or fabric designer. Birding can provide you with scope for subject material for your artistic talents. Shapes. Colours. Textures. Compositions. It’s all out there, waiting for you. A bonus is that birds are generally much more visible than other forms of wildlife. Vilis and I both like to photograph birds. Some of the pics turn out well, and some don’t. Yet, inspiration is a fickle thing. A photograph that is technically inferior may nonetheless strike a chord within you and make you yearn to turn it into art that creates a mood or makes a statement. 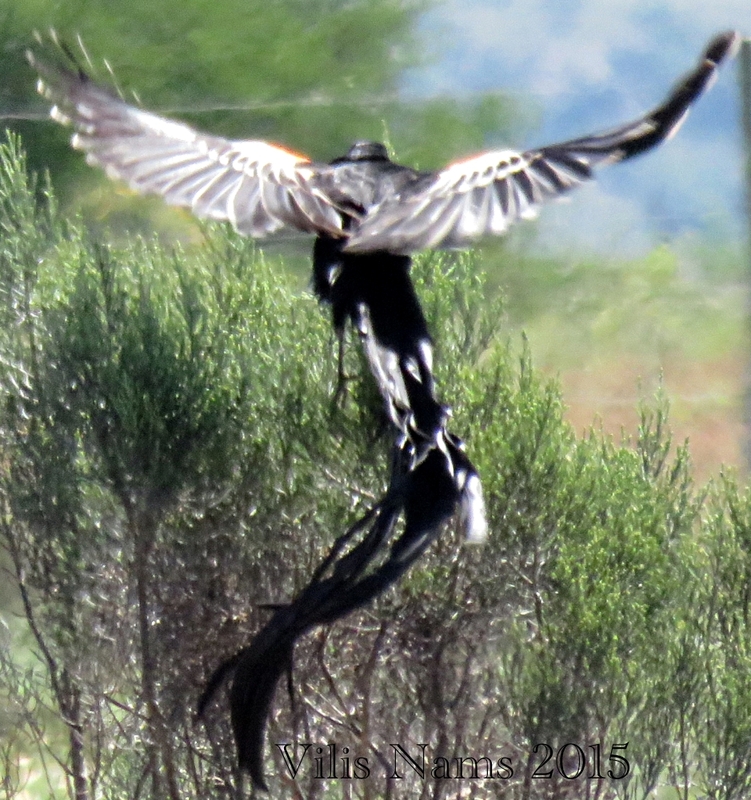 That’s what happened to me when I edited two photographs of a male long-tailed widowbird that Vilis had taken at Burnt Kraal, near Grahamstown, seen below. The photo on the left is clearly focused and shows the bird’s field marks. It’s accurate and boring. The photo on the right is blurry but alive with light and incredible grace. For me, it’s powerful inspiration for my written work. And who knows, maybe one day, I’ll paint it. 7. Birding offers opportunities to be a citizen scientist. Citizen scientists – members of the public who are not professional scientists – play an important role in the monitoring of changes in animal populations over time. 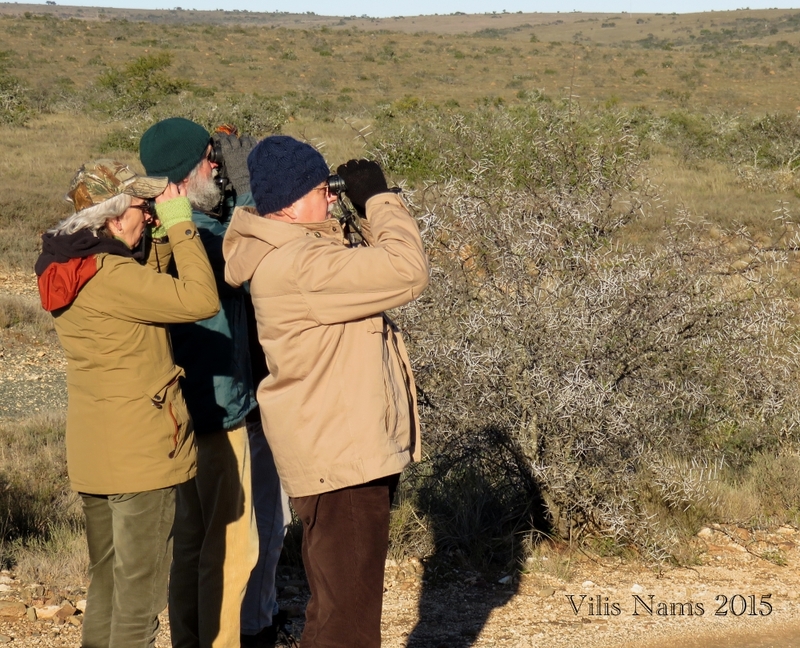 Well-known bird-oriented citizen science projects include North America’s Christmas Bird Count and South Africa’s Coordinated Avifaunal Roadcount, both of which draw on the expertise of citizen scientists as well as professionals. As a citizen scientist, I’ve participated in Christmas Bird Counts in British Columbia, Yukon Territory and Nova Scotia and in a Coordinated Avifaunal Roadcount in Eastern Cape. I’ve also conducted a Breeding Bird Survey in Yukon Territory and atlassed a 10 km x 10 km square surrounding my home in Nova Scotia for the Maritime Breeding Bird Atlas. All of these surveys gave me a tremendous sense of satisfaction at the knowledge that I had played a part in a large scientific study. You can enjoy that same sense of satisfaction by participating in a citizen science birding project. One of North America’s best citizen science birding projects for beginners is the Great Backyard Bird Count held each year in mid-February. Counters can count birds in their yard or anywhere in the world for as short as 15 minutes or as long as they want during the four days of the count. Entering data online is straightforward, and identification resources are available at http://gbbc.birdcount.org/get-started/. Give it a try and help out. Become part of something larger than yourself and enrich your life.